﻿ How to distinguish the single-mode and multimode optical modules? We know that optical modules can be divided into single-mode optical modules and multimode optical modules are usually marked on the module. Single mode to SM, for long-distance transmission, fiber color is yellow; multi-mode is MM, usually used for short-distance transmission, fiber color is orange. In addition to these, how can we distinguish between single-mode and multimode? The general multi-mode light wavelength of 850nm, the single-mode optical wavelength is mainly 1310nm and 1550nm-based. Multi-mode optical module due to inter-mode dispersion is more serious, can only be used for short-range transmission (SR); and the single-mode optical module for LR, ER, ZR and other long-distance transmissions. Under normal circumstances, the transmission distance of 2km or less, known as the multi-mode module; transmission distance of 2km or more, known as the single-mode module. 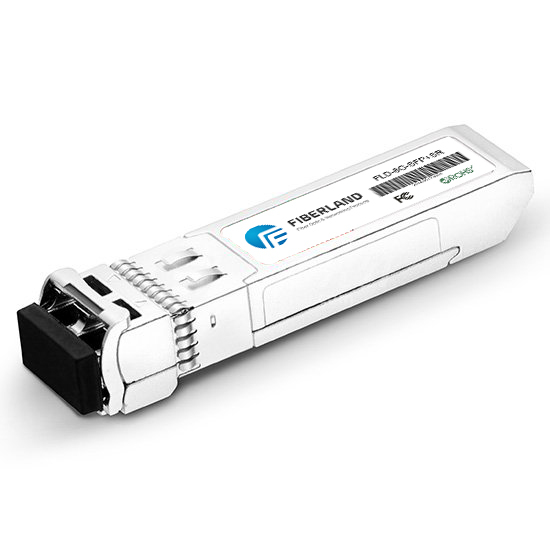 Single-mode optical module used for transmission distance is long, the transmission rate is relatively high lines, such as long-distance trunk transmission, metro network construction. According to the transmission modes of light in the optical fiber, there are single-mode fiber and multimode fiber. Multimode fiber (abbreviated MMF) fiber diameter of 50 / 125μm or 62.5 / 125μm two, their transmission distance is not the same. General gigantic environment 50 / 125μm can transmit 550m, 62.5 / 125μm can only pass 330M. Single-mode fiber (abbreviated SMF) fiber diameter of 9 / 125μm. The main wavelength of single-mode fiber is 1310nm, 1550nm. Optical fiber loss is generally reduced with increasing wavelength, 1310nm loss of 0.35dB / km; 1550nm loss of 0.20dB / km. Single-mode fiber is cheap, but single-mode equipment is much more expensive than its multimodal device. Single-mode devices can operate either on single-mode fiber or multimode fiber, while multimode devices are limited to multimode fiber operation.